Isaac Florentine's Ninja was one of our surprise favourite action features of recent years, managing to showcase a loving-homage to 80's and 90's martial arts cinema with a modern edge. Therefore the news that a sequel Ninja: Shadow of a Tear is on the horizon is extremely exciting. 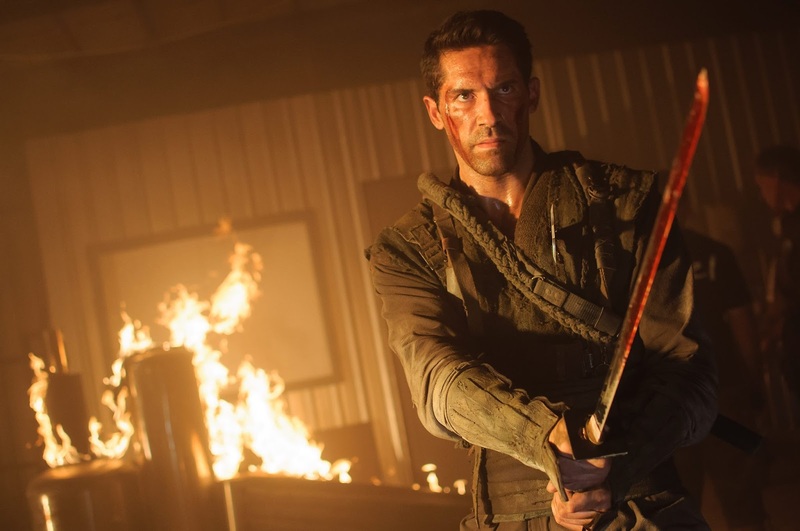 Scott Adkins returns as Casey Bowman, who is out for revenge after his pregnant wife is murdered. This quest for vengeance takes him to the jungles of Burma. Florentine and Adkins have cooked up an impressive array of action sequences - including their own take on Hard Target's iconic snake punching scene. As we've been saying for a while now, Adkins is not simply an Adonis but one of the most impressive action stars working today and we are sure he will continue to impressive in this sequel. Ninja II: Shadow of a Tear hits DVD/BR/VOD on December 31st 2013 (USA), with a UK release to follow in 2014.